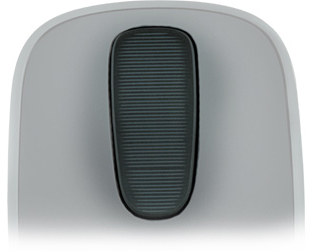 Zone Touch Mouse T400 - How simple and easy Windows 8 navigation can be with three touch actions. Glass Touch Zone for smooth scrolling - Essential Windows 8 navigation comes alive with horizontal and vertical scrolling with the simple, intuitive motions of your finger. Handles great, feels even better - You’ll find the shape to be familiar, and we’ve added rubber to the sides for better comfort and handling. 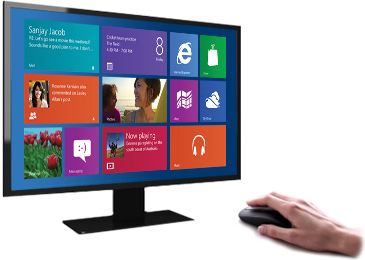 Quick access to Windows 8 Start Screen - Easily access your favorite apps on the Windows 8 Start screen with a simple dedicated action. 18 Month Battery Life - With up to 18 months of battery life (Battery life may vary based on use and computing conditions), it’s so hassle free you might forget it runs on batteries. But just in case, we’ve added a battery status indicator to make sure you’re never caught without power. 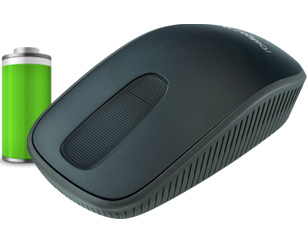 Logitech Advanced Technology - Plug it. Forget it. Add to it: Unifying receiver connects up to six compatible devices. Advanced 2.4 GHz wireless: Say good-bye to cords and enjoy wireless freedom. 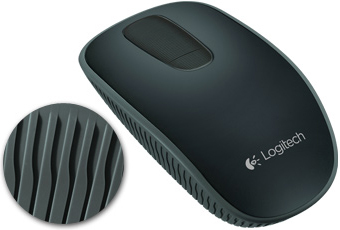 Logitech Advanced Optical Tracking: Enjoy precise point and click actions. 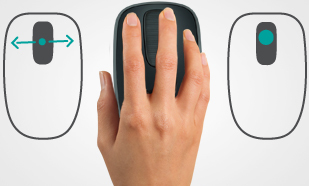 Customizable Controls: Personalize with optional Logitech SetPoint software. Question: Will this mouse work with my new Toshiba laptop 8.1 OS? If so, will it work out of the box? Answer: Yes, it will work on the 8.1 OS out of the box.